We are delighted that you decided to apply for one of our master classes. Please download and fill in the Application in PDF format. Then send it to us via email. We are open to your repertoire suggestions. Repertoire is the point to confirm with Maestro and orchestra. "Night on the Bald Mountain"
This workshop is open to conductors at all levels of proficiency, from beginners to professionals. The official language is English and Russian. Participants will work with the orchestra for 4 days. Each participant will conduct the orchestra every day for at least 30 minutes (total 2 hours on podium, plus the dress rehearsal and the concert). Assistance with Visa issuance (i. e. Invitation Letter) for Russia is available at no additional cost (required for most nationals). All sessions can be videotaped. Final public concert will be videotaped. The performance DVD will be sent to each participant free of charge (i. e. included in the price of the master class). All active participants will conduct at the final public concert. EACH PARTICIPANT IS GUARANTEED AT LEAST 120 MINUTES AT THE FRONT OF THE ORCHESTRA (30 MINUTES EACH DAY), PLUS DRESS REHEARSAL AND THE CONCERT - THAT IS 150 MINUTES OR MORE. Additional time is possible. The workshop fee covers all master class sessions. A Certificate of Completion will be issued to each participant, whether active or passive, after the final public concert. Places are limited - please inquire today. • Honoured Artist of the Russian Federation. • Honoured Artist of the Republic of Northern Ossetia-Alania. • Diploma-recipient at the All-Russian Conducting Competition. Studied at the Moscow (class of Professor Leo Ginzburg) and Leningrad Conservatoires. 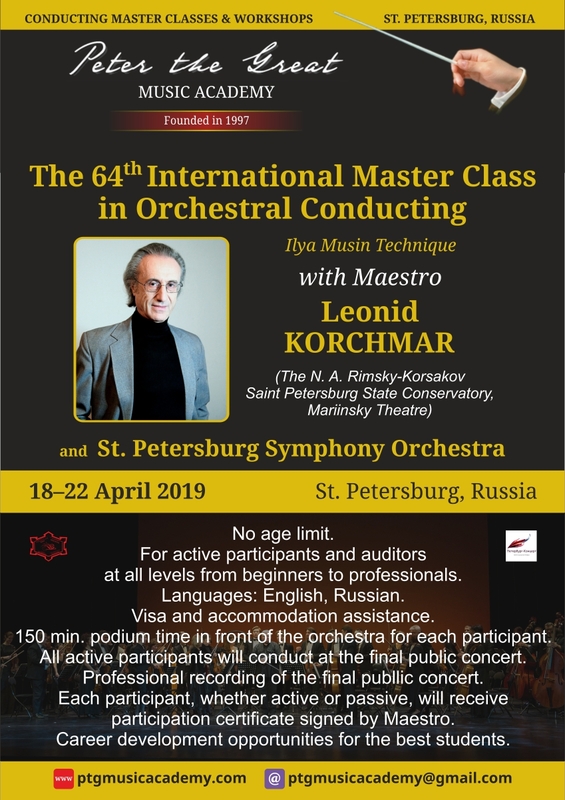 Graduated from the Leningrad State Rimsky-Korsakov Conservatoire in 1975 (class of Professor Ilya Musin). For two years he was a trainee assistant with the Symphony Orchestra of the St Petersburg Philharmonic. From 1976–1979 he was a conductor of the Voronezh and Yekaterinburg State Symphony Orchestras. From 1979–1984 he was Artistic Director and Principal Conductor of the State Academic Saratov Philharmonic Orchestra. From 1986–1988 he was a conductor of the St Petersburg Chamber Opera Company. Since 1989 he has been a conductor at the Mariinsky Theatre. There he conducts works including Otello, The Love for Three Oranges, The Gambler, Kashchei the Immortal, Ruslan and Lyudmila, The Fiery Angel, Boris Godunov, Betrothal in a Monastery, Semyon Kotko, Il barbiere di Siviglia, Salome and Giselle. Has performed with the St Petersburg and Moscow Philharmonic Orchestras on numerous occasions (with soloists including Leonid Kogan, Mikhail Vaiman, Vladimir Spivakov, Viktor Tretyakov, Olegh Kagan, Vladimir Viardo, Vladimir Feltsman, Natalia Gutman, Dmitry Bashkirov, Elisso Virsaladze and Nikolai Petrov). Together with the Mariinsky Theatre and as a guest conductor he has toured to Germany, Scandinavia, Italy, the USA, France and Portugal. In 1999 and 2000 at the Mariinsky Theatre as well as at the St Petersburg and Moscow Philharmonic Halls he gave concert performances of the operas Dido and Aeneas, Orfeo ed Euridice, Cavalleria rusticana, Nabucco, Samson et Dalila, I pagliacci, Les Pêcheurs de perles, Ariadne auf Naxos and Norma. In the 2000–2001 season at the opera festival in Kuressaare (Saaremaa Island, Estonia) he staged productions of La sonnambula and Il barbiere di Siviglia featuring Mariinsky Theatre soloists, the KLASSIKA orchestra and the Concert Chorus of the Academic Musorgsky Opera and Ballet Theatre. 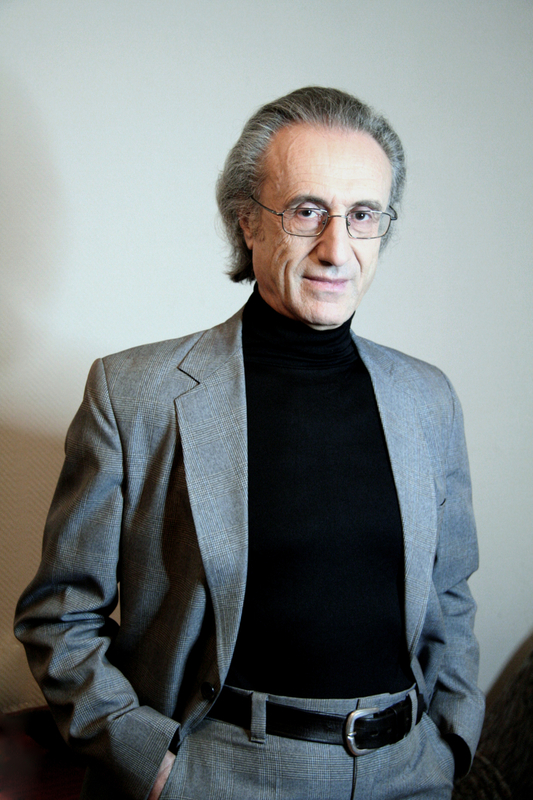 In the 2005–2006 season he was the Music Director and conductor of a series of productions at the National Opera House in Vladikavkaz. Teaches opera and symphony conducting at the St Petersburg Conservatoire. Copyright © 1997-2019 Peter The Great Music Academy. All Rights Reserved.